What would be F1's most supreme modern day race calendar? The 2017 Global F1 Fan Survey Results indicated that just over 50% of Formula One fans preferred a calendar of 19 – 21 grand prix events per season, remaining by far as the consistent favourite over the years the survey has been conducted. Bernie Ecclestone has also been pushing for 20 races in a season as early as 2004, knowing the full benefit it would have for the sport, along with the humblebrag of having sagging pockets filled with wads of cash. The 19 – 21 range is a great balance between maximising revenue, entertainment and workload on teams and employees in the industry. If you think about it, only 20 weekends out of 52 in a year is just 38.5%, looking at it in that sense we’d probably want more! However... The rare the better. I’d rather watch 15 top quality races than 30 weekends a year of a bore fest – we all would. But even so, if all races are entertaining and that becomes the norm, our expectations would rise and eventually fans would be less impressed with these races and ask for more. Sometimes those boring races give the edge of the seat events that extra edge. Liberty Media are pursuing an attempt to make F1 a ‘Super Bowl’ each race weekend and based on Super Bowl LI between the Patriots and Falcons, that could be an intriguing future. It’s really not the show that captured me as an F1 fan, it was the quality of racing. If Liberty Media’s plan is to make every race a Super Bowl, let’s focus on the tracks we visit, the quality of racing, and what appeals to us as F1 fans in a season calendar. So let’s go through my ideal 20 race Formula 1 calendar. Now, a few house rules on this – we can only use circuits that have hosted a Formula 1 Grand Prix previously, we have to consider the month they take place in, and finally, I have a good relationship with Jean Todt in this column which allows me to FIA approve any circuit and make amendments where needed. Let’s open the season up in Albert Park, Melbourne, Australia. Apologies Adelaide, I’m biased. Let’s also not pretend I don’t live near this circuit, along with almost getting fired from work every day for constantly gazing at the circuit 40 floors up and picturing Martin Brundle’s crash in 1996, the Mika Häkkinen-David Coulthard switch for the lead in 1998, Ralf Schumacher turning the front straight into an airport in 2002, the entire 2010 and 2012 races, 2013 and 2014 qualifying in the wet, and what more? The green parkland, abundance of space for the crowd to fill, hearing the roar of the fans over the new power units in 2014 as Daniel Ricciardo took pole position for 15 seconds (before Lewis Hamilton turned those cheers into jeers by snatching pole position from the home favourite). You open up the season with an interesting street circuit built around a great environment, passionate crowd and produce an event perfect for someone who may be new to the sport. Think about it, you switch F1 on for the first time as the new season is hyped up, you see what Albert Park can produce for Round 1, and you leave wanting more! The city atmosphere is great, along with qualifying and the race taking place in the evening – working out well as you can go for dinner on the Saturday and Sunday evening and have ample time to hit all the bars, pubs and clubs after qualifying on Saturday night. That's always a good idea, until we once had to wake up red eyed for an early morning Sunday qualifying session in 2013. Although if a grand prix weekend can create memories to remember such as that, it’s a keeper. I’ve always been a fan of the back to back to start the season and Sepang is your streaky three point shooter that comes off the bench. Potential rain, unpredictability – with the 2001 race being the most famous example of the bunch. The season flows on from Round 1 and keeps fans on their feet for the Monday before preview articles, videos, podcasts and more, are all released from the Tuesday onwards for Malaysia. Even at its utmost worse, the race track is built to produce thrilling racing, along with an extremely challenging middle sector. The circuit almost didn’t make the list due to the resurfacing last year to improve draining, completely ruining or better yet, 'differentiating' the final corner. Although it’s unfortunate Malaysia will be off the F1 calendar after 2017, I think we're all willing to give the resurfacing another shot. I felt as if the resurfacing would grow on us the same way you hate an album the first time you listen to it, but the more you give it a shot, the more beauty you find in the product. Am I the only person who envisions a duck when I look at the track layout of Kyalami? Why not fly to South Africa for the next race as we’re ergonomically heading to Spain straight after (spoiler alert). Needless to say, this circuit is a classic and despite the financial issues, I think it’s ready for a rebirth in the modern day. My only concerns are that the duckbill layout may not be ideal for overtaking at all, but we'll give the circuit a 3 year deal and if it doesn’t please, let’s bring the Bahrain night race back (spoiler again, Bahrain isn’t on this list) to the calendar to fill in the spot. Why not the Valencia Street Circuit? Please. How ironic that the Valencia Street Circuit’s best race was the year it left Formula 1. A circuit built perfectly for Pirelli tyres and DRS, to instead suffer from the costs of Bernie Ecclestone’s hamster wheel race deals. I wanted a Spanish race and so the Circuit de Barcelona-Catalunya wins this over the Circuito del Jarama. Here are my reasons for Catalunya winning this; yes it’s difficult to overtake but I believe the atmosphere built is perfectly to support the future God of Spanish motor racing, whoever that may be after Alonso, and as good as he is it’s not Carlos Sainz Jr. Don’t forget that this is also going to be our preseason test circuit, so we have to package in a deal for a race as well. Let’s bring back the old layout (Moto GP version) and re-model the beginning of the last sector to throw another huge grandstand in there, along with great overtaking opportunities. Barcelona opens the European season and the masses of upgrades as a result, quite fitting with it now also being the home of pre-season testing. That’s like the movie role where you’re killed in the first five minutes, never seen or mentioned again for the rest of film, but still proud of your appearance. That’s what the Circuit de Catalunya is to this calendar, but still good enough to make the top 20. Imola is definitely a circuit I’d look forward for Formula 1 to return to. We’ve seen that it can still produce exhilarating racing as it has in the iRacing World Championship Grand Prix Series. So if it can do it virtually on a simulator, it should do it in the real world (as long as our wind tunnel models are big enough I guess?). 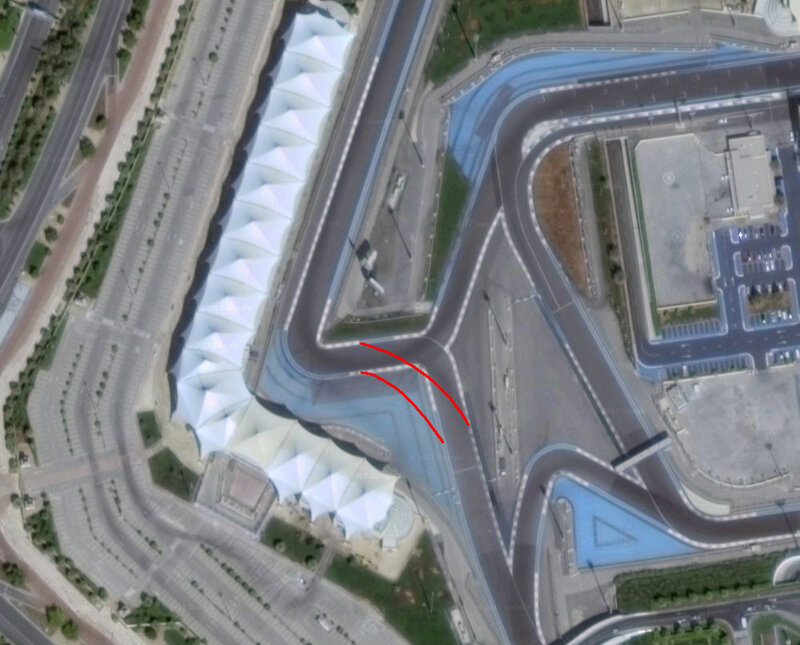 There’s no more of that weird final chicane which will promote overtaking, the lap is fun to drive and let’s not ruin the already annoying Variante Alta by putting in some modern day sausage kerbs. Let the cars ride over the kerbs like Monza 2008 and enjoy the crowd roar throughout the weekend. I had a few options here. I got sick of Paul Ricard as there were too many combinations to choose from. The best combination I came up with was a figure of 8 section where the cars could smash into each other like your home built hot wheels circuit. I eventually realised there was a head on collision section as they were heading back the same way they came from and gave up trying to come up with something acceptable. The meme race for social media would have be entertaining though, as Kimi Raikkonen would find himself lapping around the tarmac run off areas, thinking he was on the racing line. Anyway... No to the Magny-Cours unfortunately. This was a very tough decision, but it didn’t make it. Lovely circuit, good fun, but overtaking would be difficult and races could be progressive. So let’s head to the Fuji of France in Dijon-Prenois. Elevation change and constant undulation, wide flat kerbs with multiple racing lines and gravel run-offs. It’s a circuit that should be on the F1 calendar but isn’t. Come on? It’s Monaco. Good or bad, entertaining or boring, Monte Carlo stays as the 7th round of the season. Perfect logistical distance from Dijon-Prenois, with the Indy 500 taking place on the same day. Now we’re really frenching it up! Three French speaking races in a row? Bonjour, merci beaucoup. A race track in a brilliant location on the Île Notre-Dame, as well as a circuit that produces consistently entertaining races year after year, fun laps to watch onboard, interesting strategies due to the surface of the race track and the toll it takes on the tyres, [BREATHE!] heavy braking zones and aggressive driving. Much like Albert Park, this is far from the ‘street circuit’ that it's classified as. I’d have this back to back with Montreal, but considering we’re flying to North America and back to Europe again, along with avoiding Le Mans the week after Montreal, I’d rather avoid both of those circumstances. More importantly, I’m going to pick the A1 ring. I quite like the modern day version of the circuit — compelling and enthralling to ride onboard with and it’s interesting having such a short and simple circuit on the calendar. Everything is still technical as well as an overall challenge for the drivers, but still succinct. This is a circuit you see in a racing game that looks simple, so you choose it when the girlfriend is over to impress her for the first time, only to realise you crash exiting the pit lane because looks can be deceiving. She then breaks up with you and it’s over. Wait, which male human being would ever play video games, I mean play racing games, I mean choose the A1-Ring in front of their girlfriend... right? F1 has been my first choice topic of conversation, my fastball, that I use to repel women and most F1 fans remain single to this day for good reason. As much as I love the trail braking thriller of Brooklands using the Arena section of the race track, the Bridge layout using the old pit complex satisfies me for this round. Copse as a first corner is essential — a necessity. An even wackier suggestion would be to have the new pit complex along with the Abbey chicane as a unique first corner. It’s not an entirely long run down to the Abbey chicane, but it’s not a completely slow corner either which would build exciting rhythm to begin the race as you progress under the bridge and so on. Wherever you place Turn 1, you win with this circuit and that’s the moral of the story. A high speed palace of corners with the lack of heavy braking zones, something diverse to the other race tracks on this calendar. It is a sin against nature to not have two British circuits on an F1 calendar. Donington wins this slot over Brands Hatch due to its history. Donington is the former superstar, now overpaid veteran who gets the long term contract based on past performances. Ayrton Senna’s start alone excites me a lot and I would race at Brands Hatch over Donington any other day of the week, but there are seriously too many great British racing circuits out there and it’s why the UK has the best collection of race tracks in the world. I now know what it’s like to be The Bachelor – that guy wins no matter what the decision and that’s the same with British racing circuits. The final race before the summer break and we’re headed to the Nürburgring but unfortunately the entire Nordschleife won’t be used. I personally hesitated on this circuit, but you know what? There needs to be a bland race on the calendar each year and this one would balance things out. One Belgian race on the calendar is enough and Spa defeats Zolder to this slot by a country mile. The Formula 1 paddock returns from the summer break and Spa has been a positive race track of note over the very long history that ghosts itself around the race track. I don’t mind the redeveloped final chicane, I think it’s really designed well to improve the racing heading into La Source and not necessarily for the corner itself to be the highlight of all battles. Everyone misses F1 for four weeks and what better way to resume the season than returning back to a circuit such as Spa. It’ll be like F1 never left. Monza has etched its name as one of the best motor racing circuits in the world for both racing and fan atmosphere. The podium ceremony alone could lock this round into the calendar, not to forget the 370kph (230mph) top speeds in modern day Formula 1. Couple that with the occasional wet race here, adjoined with support series such as Formula 2, Porsche Supercup and more, there is no question that Monza should be a perpetual lock on the Formula 1 calendar for eternity. Let’s bring back the old Hockenheim, and why not have it as the third low downforce race in succession. Teams will put extra emphasis on development for these three rounds, becoming meticulous on race tracks that require low drag. Teams without a strong engine or power unit will also be compromised, putting extra pressure on development and engineers to get all things right. I don’t know how many fans really care too much about the Formula 1 Constructors Championship apart from the teams, or as Christian Horner sometimes refers to it as the ‘Accounting World Championship’. So let’s in turn make it a little more interesting with these three rounds. Singapore has been a success since Formula 1’s inaugural night race around the Marina Bay Street Circuit. The success this race has brought under lights is almost turning it into a staple in Formula 1’s race calendar. The frightening rain and dust to start the 2017 race, the physical challenge it places on drivers and of course, the glamour, which is part of the reason this race is a great fit for Formula 1. Suzuka is definitely one of my favourite circuits in Formula 1, there isn’t a corner on this race track that isn’t challenging, thrilling or gratifying as you nail each apex around the figure of 8 layout. Notice the switch to these rounds that require high downforce, especially through the twisty ‘S’ curves. I’ll be honest, it was certainly tough leaving Fuji out, but Suzuka is to Fuji what Michael Schumacher was to Rubens Barrichello. Should I have chosen TI Circuit Aida (now known as the Okayama International Circuit), no. Should I have at least considered TI Circuit Aida over Suzuka and Fuji, hell no! But what if you choose the Foro Sol for the podium ceremony and crowd atmosphere. Bring over Aaron Judge or Giancarlo Stanton and have them hit a home run as the winner crosses the finish line, sell out those seats to the stadium. I would love to have both, but I can’t go full sandbox mode in this column, tough decision but I’m going with the modern day layout, with the old layout’s middle sector incorporated in there. Using the internet, the Autódromo Juan y Oscar Gálvez looks like a wacky circuit, but the Autódromo Hermanos Rodríguez blips it by a country mile for this spot on the calendar. First things first, Indy should always belong to IndyCar. Inviting your ex-girlfriend to your place once a year for some on track action is always screaming trouble, so IndyCar should keep their separation from F1 and claim the Indianapolis Motor Speedway for their own. Sebring is bumpy and has that touring car / GT vibe – known for hosting events such as IMSA and the 12 hours of Sebring. COTA is relatively new and there’s hardly a Tilke-drome (1) on this calendar and it should be kept that way for good reason. 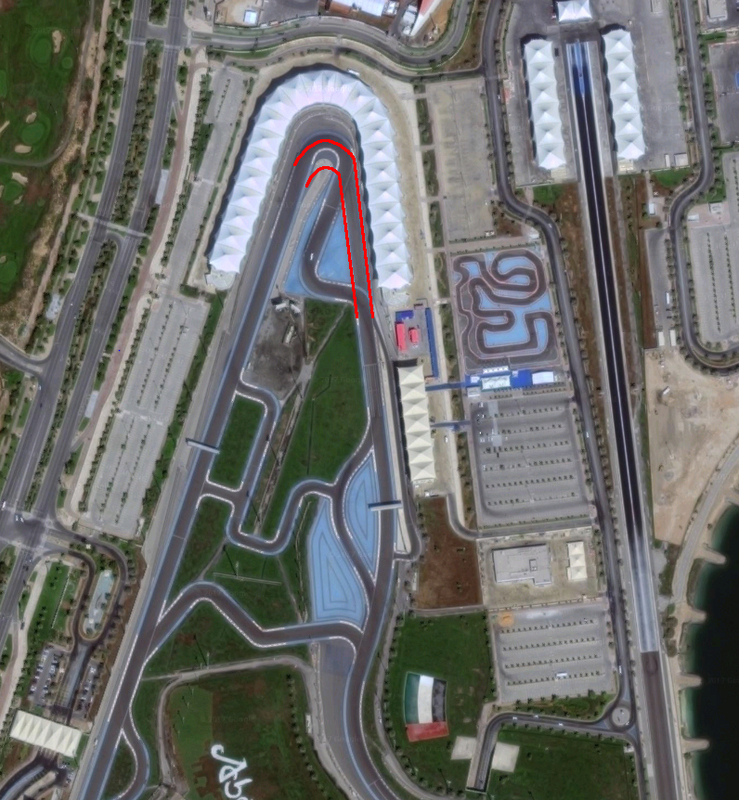 (1) Hermann Tilke is a circuit designer who has been criticised by many over the years for his bland designs. So the full layout of Watkins Glen wins. It’s something unique on the calendar with its fast sweeping corners and long straights — Silverstone’s US brother. The circuit is quite a distinctive challenge that only certain drivers will succeed at, those becoming triumphant of this challenge are capable of sustaining high minimum speeds through each beautifully shaped and cambered apex. The penultimate round in the state of New York is sure to keep things electrifying and could make or break the championship challenge in the final rounds. Don’t even question this. 2007, 2008, 2012, this is the true final round to the season to how Albert Park is always the true first round of the season, it’s where it belongs. When the Bahrain International Circuit hosted the season opener in 2010, we came to Albert Park and said “this is the true season opener” after a race that stimulated excitement for the season compared to the dull opening spark plug failure that Sebastian Vettel had at Bahrain (and most recently again at Suzuka in the 2017 season). The season finale does not and should not belong at the Yas Marina Circuit. With the perpetual chance of showers in Brazil during this period, you’re not playing the lottery to win the championship, every title will need to be truly earned by the greats. What if Ayrton Senna's 1991 win around here sealed his 1991 title? What if? A catch phrase used by most in the Formula 1 paddock. Go and google Avus, that’s a circuit I would pick in a video game and chuck 150 cars on the grid, racing around for an hour or two. But that isn’t enough of an incentive to make the F1 calendar for good reasons. Estoril and Shanghai made the shortlist along with Bahrain, with the night race changing the landscape of that race a little bit in recent years. But with a lack of feel for crowd and race atmosphere, it was crossed off the list. It would've been nice to put a Middle Eastern circuit on the calendar, but I wasn’t happy with Yas Marina too. Now to end, let’s get rid of the elephant in the room. What is probably infuriating a lot of people is why Hungary is left off this list. I obviously wrote this column, it’s my choice, I don’t like the circuit but I don’t hate it. A twisty layout with a lack of on track action. If you increased the scale of the Hungaroring by 25%, it could potentially be one of the best tracks on the Formula 1 calendar.